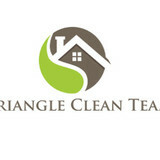 919 Green is locally owned and operated Eco friendly cleaning company and we have been servicing NC since 2007. 919 Green is not a franchise giving us more ability to tailor your house cleaning to meet your exact requirements and 919 Green can keep with our professional detailed high quality cleanings at a fair reasonable price. And that’s what makes 919 Green outshine the competition. 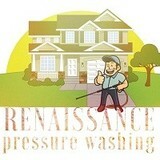 Renaissance Pressure Washing is the most experienced local power washing company in the Raleigh area providing fast, efficient and affordable residential and commercial cleaning services! Let Us Make Cleaning Your Home Easy and Friendly There is no greater feeling than coming home to a clean house! Except for coming home to one you did not have to clean yourself. Tidy Maids home cleaning maid service gladly provides regular home cleanings convenient to your schedule so that you don’t have worry about a mess after a busy day at work or play. From a deep cleaning to a basic tidying up, let our caring Tidy Maids take the stress out of your mess. Whatever your house cleaning needs, our crew of dedicated and dependable housekeepers will make your house sparkle and shine again. 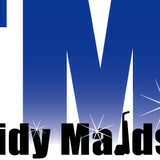 We schedule one-time, weekly, bi-weekly, or monthly cleanings, depending on your preference and budget. 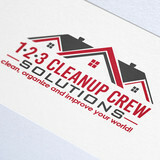 We will clean just one room, a few rooms, or all rooms. 1-2-3 Cleanup Crew Solutions has been providing commercial and residential house cleaning, office cleaning and domestic household chore services for over 10 years. Our mission is to provide outstanding clean-up services throughout NC as well as SC to achieve your cleaning needs and projects. 1-2-3 Cleanup Crew Solutions understands you are busy and therefore we, provide the solution, peace of mind, superior customer service and patience that you deserve. At First Class Clean, we offer a wide range of exceptional home pressure cleaning, sealing and staining services to residents throughout the local community. Raleigh Clean has you covered for all your cleaning needs. Whether it's residential, commercial, moving into a new place or out of your old place; our professional maids with years of experience will leave your home or business spotless. Give us a call today and you'll see why we have so many repeat customers. The Bee Maids follows a long family tradition of residential and commercial cleaning services. It is this history that has allowed us to bring experience and dedication to our company and its clients. We strive to provide the fastest and most detailed service to every home, apartment, or business we help. We have developed a competitive edge for fast, reliable, and affordable service. Call us for a quote today ! We opened in 1999 with the goal of being the best. We've achieved our goal and are now proudly serving many repeat customers. We provide services on a one time basis or a periodic cleaning schedule In Raleigh and all Surrounding areas. We work hard to provide the best cleaning services within your budget. Our customers look to us for great quality and incredible service. Our unparalleled service, quality, expertise, competitive prices, and overall value are why our customers keep returning. We look forward to your patronage. At Go Green Cleaning we offer a wide variety of residential and commercial services. We service homes in Raleigh, Garner, Cary, Holly Springs, Apex, Clayton, Smithfield, Fuquay-Varina, Knightdale, plus other areas throughout the Triangle. Whether it's getting your home cleaned, having your yard landscaped, or fixing damage that's been done to your home, we're here to help you every step of the way. Send us an email, or give us a ring and we will get you taken care of. Macarena's Cleaning is a team of skilled professionals based in Raleigh. Our company is licenced, insured, and Highly Recommended and count with references if needed. Since 1988, we have served over 1000 clients. We understand that many people just don't have the time to keep their own homes cleaned, so that is why we are here. We are loving, and motivated people who just want to help you keep your home tidy clean. We do our best and bring your home back to life, leaving it sparkly clean and all just at a great price! Attention to detail, thoroughness, and quality of service at a reasonable price - now, that's what you can expect from Macarena's Cleaning. Our customer comes first and we do what it takes to keep you satisfied with our services. RestorePro Reconstruction has been serving the Raleigh-Durham area with our top-notch water removal & water damage restoration, fire and smoke damage restoration & repairs, and mold remediation services since we opened in 1986. Over 30 years later, our disaster restoration company is still thriving under the same ownership. We attribute our success toward our commitment to professionalism and perfectionism. For more @ +1 (919) 835-0676 or visit at <a rel="nofollow" target="_blank" href="https://trustrestorepro.com">https://trustrestorepro.com</a>. What should I expect from a house cleaner in Forest Hills, NC? Most professional Forest Hills house cleaning services will do the same tasks for a basic residential cleaning job: clearing dust and cobwebs from all surfaces and fixtures; wiping all surfaces, including sinks, tubs, counters mirrors; cleaning tile; vacuuming and mopping. You may want to have different rooms detailed at different times, so ask about doing a rotating schedule if you want them to pay extra attention to each space (like kitchens and bathrooms) every other cleaning. Some house cleaning companies in Forest Hills, NC will also offer additional services such as window washing or appliance cleaning, so ask about incorporating them into your deal or doing them as a one time thing if you’re interested. Pick up any clutter (laundry, toys and other gadgets) and put pets in a secure spot so they feel safe and don’t get in the way of the Forest Hills house cleaning company. Put out any specific cleaning products or tools you want used, and make sure to lock up any valuables that you don’t want disturbed. Most housekeeping services in Forest Hills, NC will enter with a spare key or garage code, but if that isn’t something you’re comfortable with then you should arrange for them to come when you are home to let them in. Typically Forest Hills house cleaners expect payment at the time of cleaning, so ensure you have the appropriate form of payment (cash, check or credit card) on hand, plus a little extra for tip if that’s your style and they do a great job. 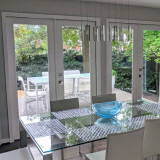 Find Forest Hills house cleaning services on Houzz. Narrow your search in the Professionals section of the website to house cleaners in Forest Hills, NC and contact local companies to ask questions and get quotes.